However, life phases change, and most of us won’t always be living with only a handful of belongings we can toss into a car at a moment’s notice. So, when the time comes to move, how can you keep costs low? The more stuff you own, the more expensive the move. It’s that simple. Before you start the move, get rid of clothes you barely wear, gifts you never use and those books you keep just to look smart. You may even be able to squeeze a dollar or two out of your purge process by hosting a yard sale or consigning some of your old goods either to local stores or online buyers. You can also donate your belongings, which sometimes earns you a tax deduction. Once you’re down to just the items you plan to keep, it’s time to decide if you should do it yourself by renting a van and bribing friends with pizza to do some heavy lifting. DIY moving might be a simple solution if you’re just moving from one part of town to another, but moving across the state or country may require you to hire professionals. While efficient, hiring movers can be expensive and risky, so you want to watch out that you don’t get nickel-and-dimed or have your belongings taken away, never to be seen again. Start with crowdsourcing your own network of friends, family and co-workers to see if they have any good moving company recommendations. Once you narrow down some options, be sure to verify the companies on reputable websites like the Better Business Bureau®, Angie’s List™ and MovingScam.com™. You can also Google the name of the company with the word “scam” and see if it comes up with any hits. Do not be too quick to finalize a contract with a moving company. It is in your best interest to spend some time comparison shopping and collecting quotes from several verified companies. Carefully read over the contract with your moving company so you understand exactly how you’re going to be charged. You don’t want to find out later that the moving company had a bunch of fine print fees. Often times the weight of your shipment and the distance of your move will determine your moving fee. Ask your movers if the estimate is “binding not-to-exceed” or if it’s non-binding. Non-binding means you can get upcharged if the weight is higher than you listed. You also need to know if tariffs (small fees) will be charged. You can ask to see a list of fees the mover will charge, and most reputable movers will provide a copy. Just like checking the price of the move, you should also understand the liability coverage your moving company offers if a valuable gets lost or damaged. Companies often provide coverage based on the weight of your shipment (e.g. paying 50 cents per pound of item broken) or on the assessed value of your belongings. Obviously, the latter is ideal, but it also comes with an additional cost and more work for you. Don’t forget to itemize your belongings and cross-reference the estimated value you’ve attributed to items with the one the moving company created. You’ll need this information for the claims process after the move is complete. The last things you want “falling off of the truck” are your family’s passports, birth certificates, Social Security cards or treasured family heirlooms that have been passed down for five generations. Keep these valuables on you during the moving process instead of risking them being lost among your less important tchotchkes. Don’t forget about renters or homeowners insurance! Once you’ve survived the move, the last thing you want to do is leave all of your valuables unprotected at your new pad. Make sure you have renters insurance or homeowners insurance to help protect your stuff! 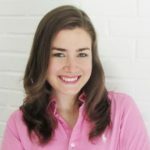 Erin is the founder of BrokeMillennial.com, where she uses sarcasm and humor to explain basic financial concepts to her fellow millennials. Erin lives and works in New York City.